The holidays are the perfect time to tell him how much he is appreciated, and what better way to do that than with a large basket filled with a huge selection of guy favorites! 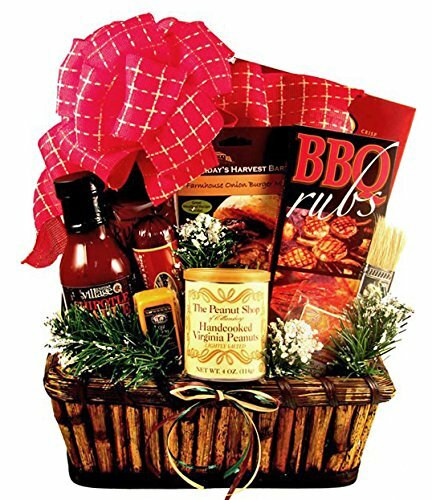 This holiday gift basket for him has it all from sauces and rubs; to nuts and dips and all things in-between. Say "Merry Christmas! ", "Happy Holidays!" or just "Howdy" with this awesome gift basket designed just for him!